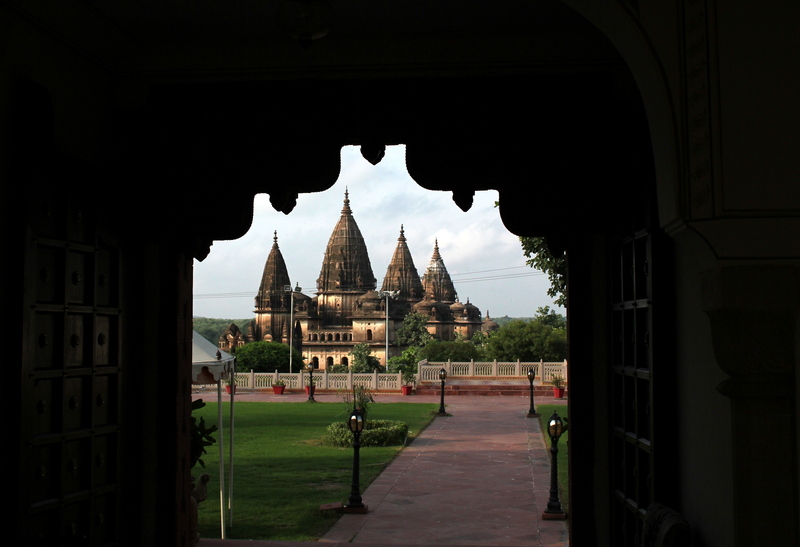 Legends and stories are many and Orchha is one such land which is full of captivating tales; sometimes hard to believe. Palaces to cenotaphs each brick and wall has some tale to narrate and amaze the tourists in the magnificent medieval town. One of the most fascinating tales is that of Dinman Hardaul. The melancholy yellow palace which is now transformed into a buzzing shopping arcade was once the residence of erstwhile king Jujjhar’s brother-Dinman Hardaul. Right beside the palace is a small temple with the idol of Hardaul who is worshiped by the locals and believed to be very much alive. 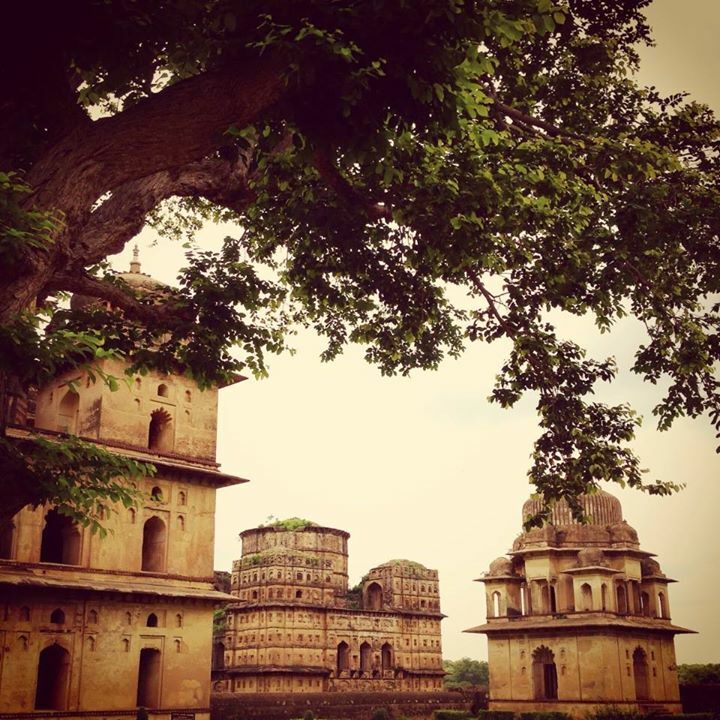 Orchha is a beautiful town which is still untouched by the tourist populace. It is a beautiful medieval town that can be discovered mostly on foot. The most amazing thing about this town is that it exists marvellously cocooned by the huge palaces and temples. Wherever you cast your eyes, you will be mesmerized to see the beautiful chhatris(cenotaphs), which are typical of the local architecture, creating a beautiful skyline, making it picture perfect. 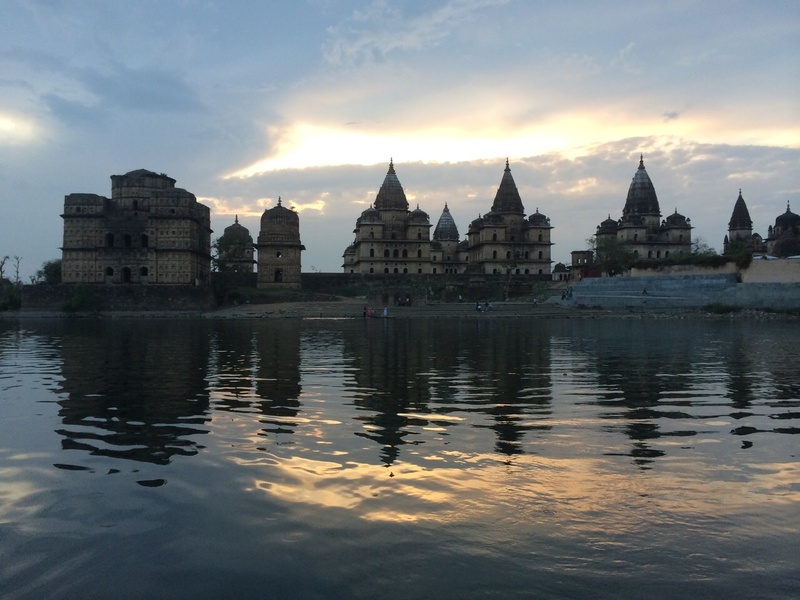 Orchha is lush with environmental freshness, incredible palaces, fort, temples, cenotaphs, shimmering Betwa River, wildlife and interesting stories. The old architecture looks like burnt , as if the heat of India’s central plains left its marks on the buildings. The most visited places in Orchha are Raj Mahal and Jahangir Mahal. 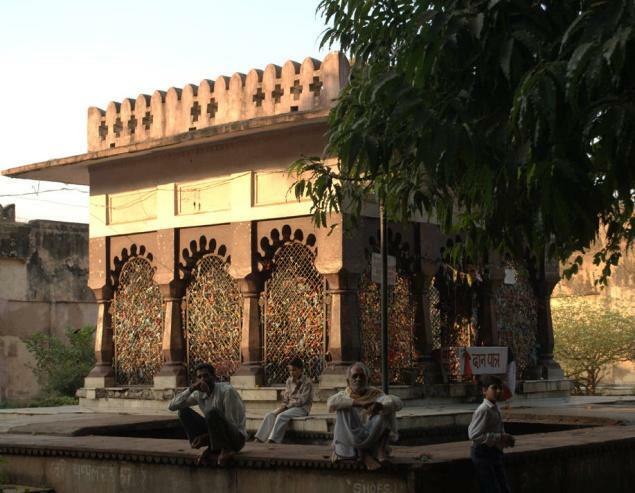 The cenotaphs on the banks of River Betwa are the built in the memory Bundela kings and their families. 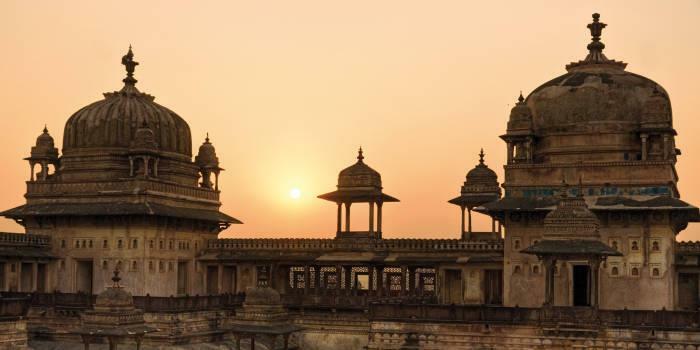 Orchha is the only place where you would find cenotaphs of Hindu kings; typically built in the variation of tombs. 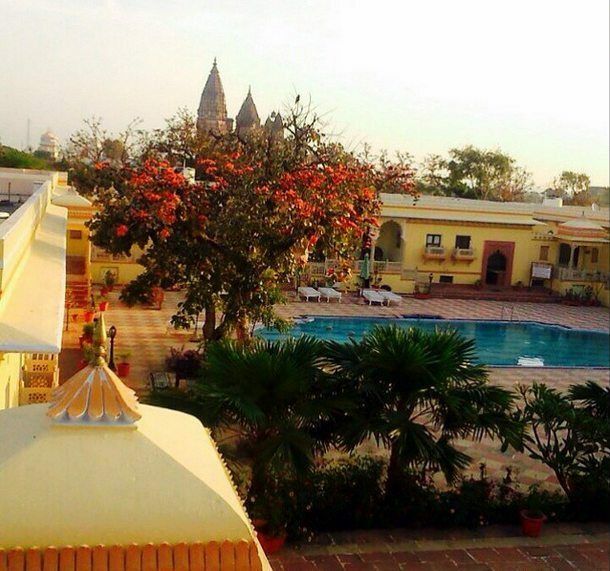 If you are a history buff and admire beauty of picturesque locations, riverside, nature and royal hospitality then you must pay a visit to Orchha and stay at Amar Mahal! 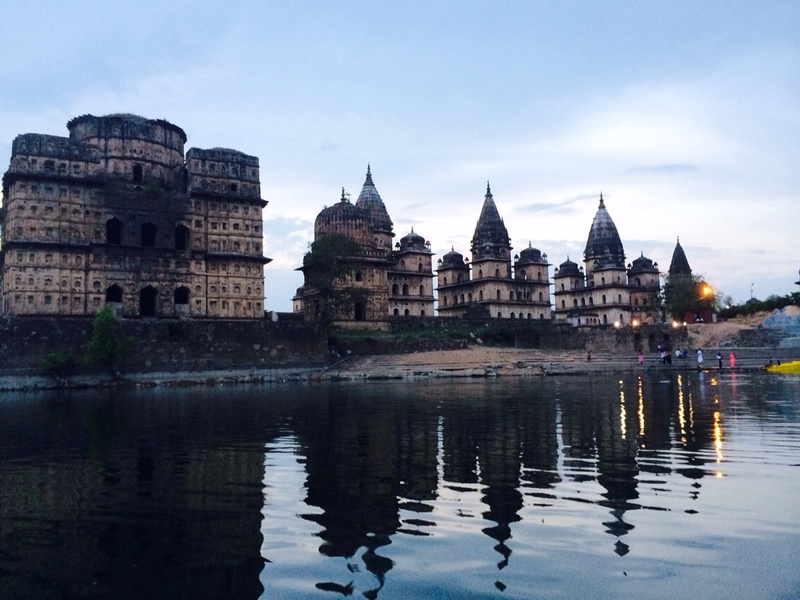 Orchha is a mesmerizing town with scenic beauty and eye popping architecture of mammoth cenotaphs and unconventional temples. 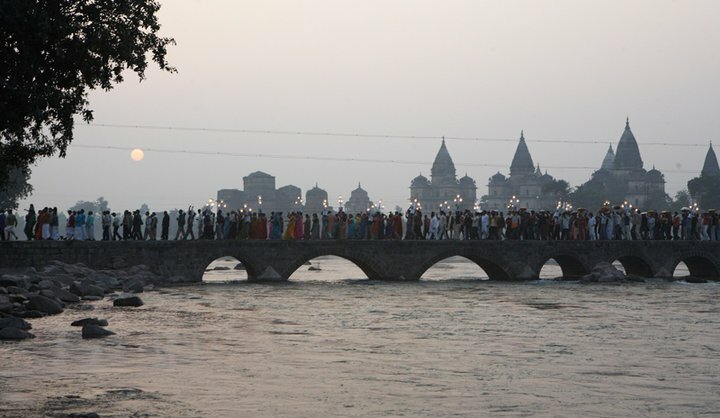 But what makes this medieval town more appealing is the shimmering tributary of Yamuna – River Betwa! 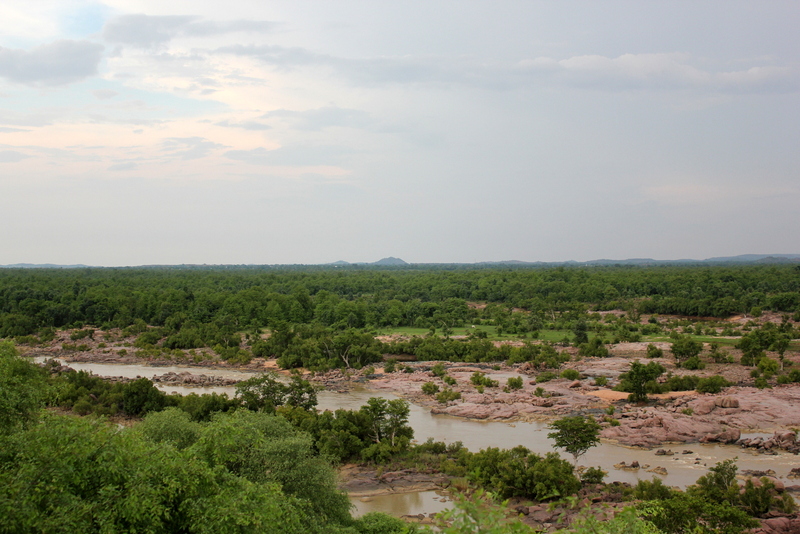 Originating from the mountains of North India, River Betwa divinely gushes through the plains to enter Orchha. 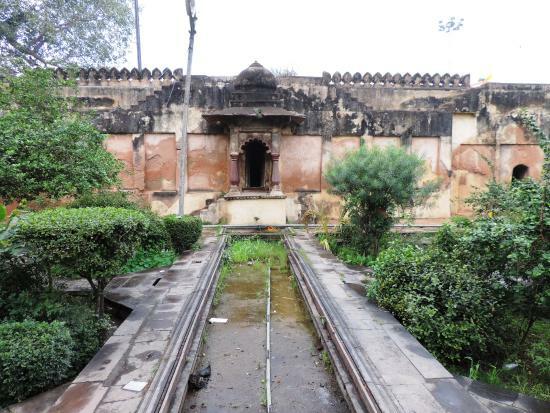 The stoic cenotaphs lined along the southern bank of Betwa peek into the blue waters and look back into the past paying tribute to the valour of Bundela rulers. The Fifteen handsome cenotaphs, embodying the ashes of cremated kings and princes, are precisely aligned in sprawling gardens tendering panoramic views of the town and the river snaking through the rolling landscape. An exhilarating river rafting expedition on the currents of River Betwa offers a different perspective of the cenotaphs. River Betwa also flows through one of the most scenic places in Madhya Pradesh i.e. Orchha Wildlife Sanctuary which is a home to some of the most endangered wildlife species and rare plantations in the world. Lastly, gazing at the sunrise and sunset from the banks of River Betwa is by far the most delighting and soothing experience one can have in Orchha! !